I have tremendous respect, admiration, and gratitude for our military personnel, both present, and veterans. "60 Minutes" did a great piece on the Green Berets last Sunday, and if you have interest you can watch it at the CBS site. In that piece, one of the Green Berets was accidentally shot in the leg an Afghan soldier they were training. He is a medic himself and refused to take morphine, he had surgery the next day, and was back in action within 24 hours! In an interview, Lara Logan of 60 Minutes asked him to describe the feeling when he was shot. He described it as a burning sensation. To paraphrase, she asked if that was known as pain. He replied, "It’s only pain if you acknowledge it." Wow, what a stud! Many of us know people who whine and consider going to the emergency room with every little hangnail; here’s a guy who almost had his leg blown off and pooh-poohed it as no big deal. That falls in the category of "It’s not what happens TO you, it’s how you REACT to it." 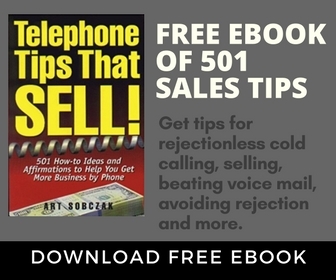 Able to squeeze a sales point from most anything, I immediately compared that to what happens to us on sales and prospecting calls. Stuff happens regularly on calls. Some people call it rejection and it ruins their day, and their overall disposition. Others realize it’s part of the game, refuse to acknowledge the setbacks as "rejection," and get back on the battlefield. 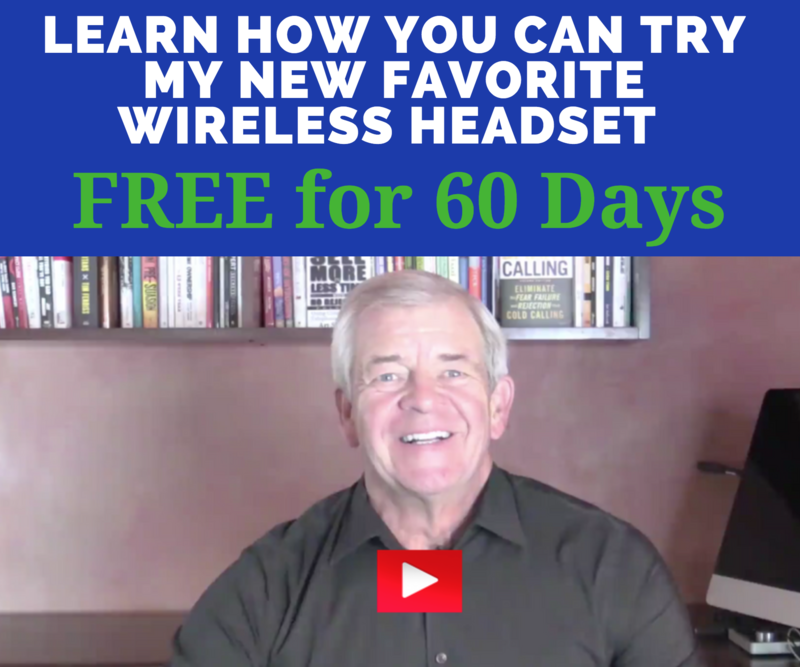 Taking it a step further, I have long taught the concept of the Secondary Objective, which is proactively seeking a "win" on every call, regardless of how small. It could be as little as keeping the door open for a future contact. 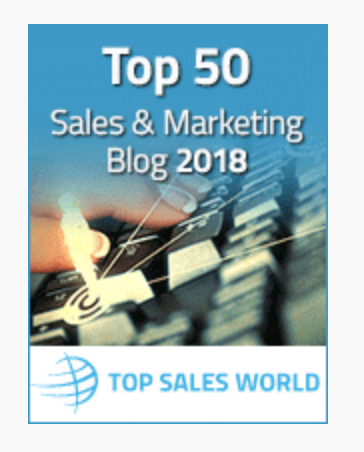 Better yet, use the "Keep in mind" statement: "Keep in mind that when you run into a situation where (describe a potential need or problem), we would be able to handle that for you." doesn’t have it in stock, we’d likely be able to ship it that day and you could have it by tomorrow." That is much better than simply saying "Keep us in mind," and stopping there. That is a worthless phrase. So, here’s to the fine job our military is doing, and the lessons we can learn about attitude. 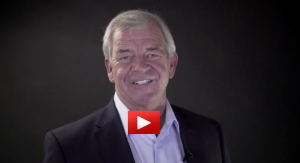 Like you I sensed there are great lessons to learn from Green beret training that is applicable to sales. 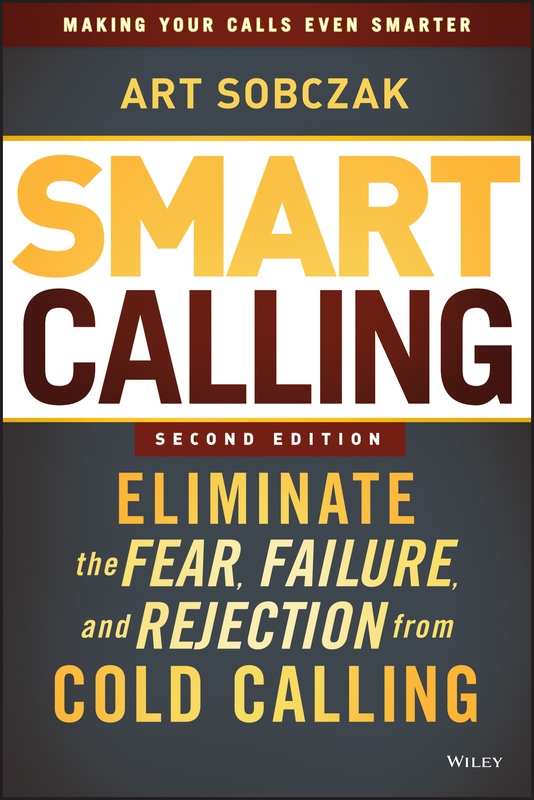 I just purchased your book “Smart Calling”. Now my thoughts are I maybe should be a book on Green beret traing. If I applied just 10% of the attitude of a Green beret I would have all my problems solved. Art, I think you missed the point of the segment on 60 Minutes. It was about the psychological damage the Army creates by instilling a culture of being less than fit to serve if you acknowledge pain. To use this piece as a sales metaphor somehow seems to be a bit misplaced to me.